We are observing at a golf tourney at the country club next to our home. We have Mickey in our cart with us. Two people have approached us who also have Cavachons and are just raving about how great they are, how smart, how sweet and how that is the only kind they will ever have in the future. We agree, of course. And this is the sweet Abbey puppy “Dottie J” that went home to Janet & Roy. We just saw pictures of her a little older with her solid sable brother! I have her sister, Kacy, what a bundle of energy. She is giving, Keely, my 3 yr old. 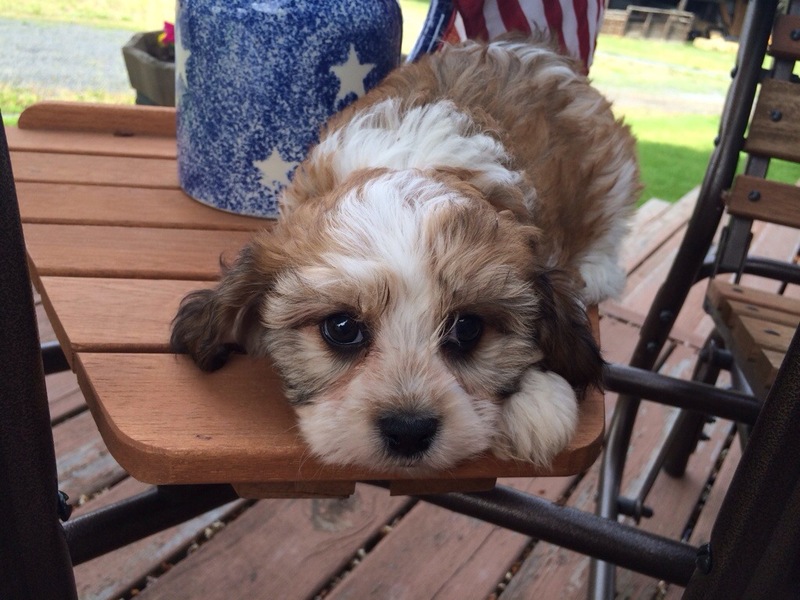 Cavachon, a renewal of her puppyhood! Kacy weighs in at 3.2 lbs at almost 10 wks.